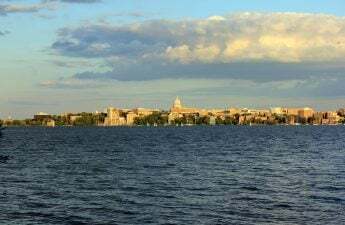 As Madison works to transform its city operations into using 100 percent renewable energy with zero net carbon emissions, Sustainable Madison Committee heard a new report from experts Monday night on the best strategies to make the city’s promise a reality. The Madison Common Council unanimously approved a resolution in March 2017 detailing the commitment and included funding for the hiring of consultants — including Mike Barnett from Sustainable Engineering Group and Josh Arnold from Navigant Consulting. Barnett said their plan applies the “80/20 rule,” which targets the 20 percent of energy strategies with 80 percent of carbon reduction impact. Of these strategies, Barnett said increasing renewable energy is significantly more important than better efficiency or improving transportation. City operations currently produce 95,210 tons of carbon dioxide emissions per year, the equivalent of 529 rail cars full of coal stretching from the Capitol to East Towne Mall, Barnett said. These operations include city buildings like fire and police stations, vehicle fleets like garbage trucks metro buses and other sources like street lights and water utility pumping. Currently, city operations are powered by 11 percent renewable energy with the majority of its power coming from fossil fuel sources like diesel and coal, Barnett said. While companies like Madison Gas and Electric have made their own renewable energy targets, Barnett laid out a series of phases for the city to undertake to reach its goals. The city should first implement “behind-the-meter solar” projects — solar panels which produce power for on-site use as opposed to distant solar farms generating energy, Barnett said. This alone would reduce carbon dioxide emissions by 3 percent, Barnett added. Barnett advised the city to then participate in a new off-site solar farm Dane County is currently bidding for energy companies to build. Currently, a city’s power grid contains a mix of energy sources — from coal to solar — but as part of MGE’s brand-new Renewable Energy Rider program, the city could substitute any fossil fuel derived power with clean energy from the farm, according to MGE’s website. 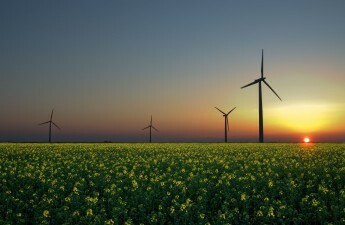 This would increase the city’s use of renewable energy by 11 percent. Later, as solar energy costs become cheaper and more cost-effective, more expansive solar projects could be accomplished, Barnett said — like the implementation of solar panels along the roofs of parking garages. Although the plan is in its early stages, Arnold said the city should electrify its entire bus fleet and replace other city vehicles, like police cars, with electric versions. Arnold added that the city shouldn’t be worried about recent decisions at the Environmental Protection Agency to roll back rules requiring cars to be more efficient and cleaner. 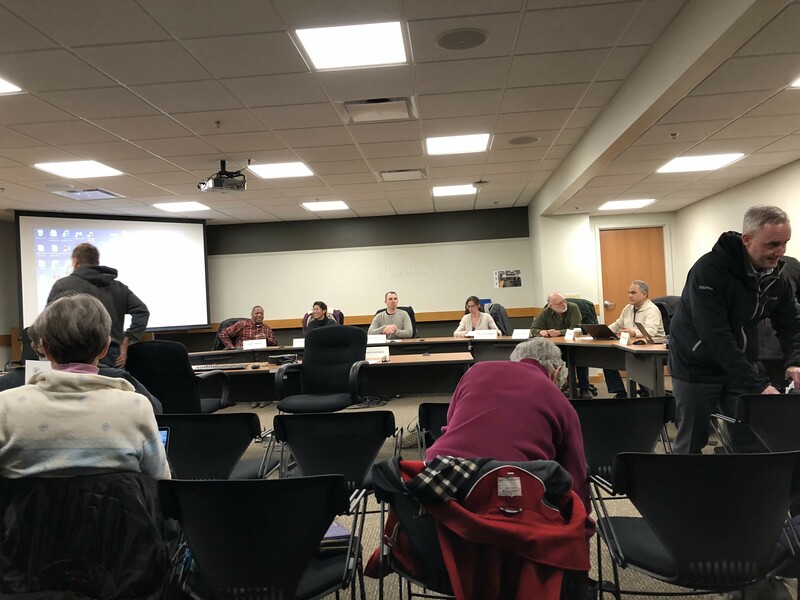 The committee will meet again on April 23 to discuss community strategies for reducing carbon emissions, as part of the second half of Common Council’s resolution — which expects a community-wide rallying around clean energy, according to The Cap Times.